Guests sip wine and savor food during Roll Out The Barrels’ opening event June 19 at Mission Plaza in San Luis Obispo. This popular annual event kicked off Thursday evening and lasts through tomorrow (Sunday, June 22). 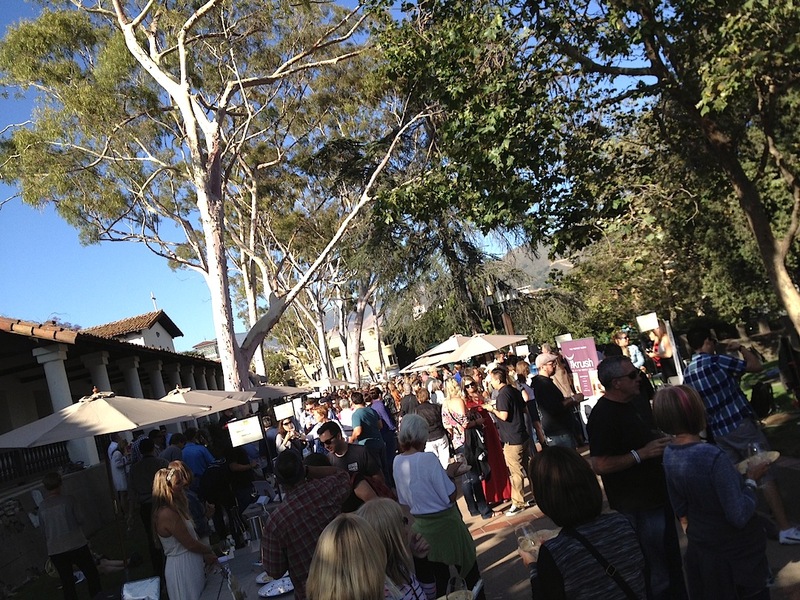 I attended for the first time this year, and now I see why the event usually sells out: The four days bring local wines and fresh-to-your-palate small bites from the county’s finest eateries. I sampled tiny plates from the new Comfort Market, Creekside Brewing, the Kitchen at Niner Wine Estates, Luna Red and Mother’s Tavern. Everything was sublime. The wines I sipped were the current chardonnay release from Cal Poly’s Wine & Viticulture Program; Niner Wine Estates sauvignon blanc; Clesi Wines’ malvasia bianca; Talley Vineyards’ cabernet sauvignon (my token red wine, an ode to the afternoon heat); the verdelho from Filipponi Ranch Cellars; and pinot gris from Sinor-LaVallee.